Shortly after the invention of the telescope in the early 1960’s, Galileo Galilei gazed upon the Moon with a view unlike that which anyone had seen before. 360 years later, humankind boldly ventured across the harsh vacuum of space and walked upon the surface of this ghostly sphere in the sky. Today, observers around the world continue to explore its magnificent landscape of craters, winding valleys, steep scarps and rugged mountain ranges using the superior optics of affordable, modern telescopes. 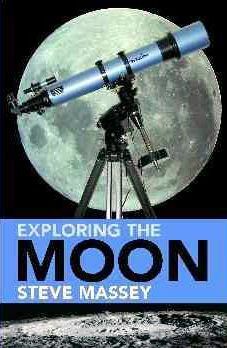 Packed with interesting facts, reference tables and lavishly illustrated with over 200 colour illustrations and pictures, Exploring The Moon is the perfect companion for your telescopic journey.